The Ben Nevis Braveheart Triathlon has firmly established itself as one of the UK’s must do multisport events. Last year the 150 competitors were greeted with blue skies and glassy calm water as the weather gods looked down with approval. 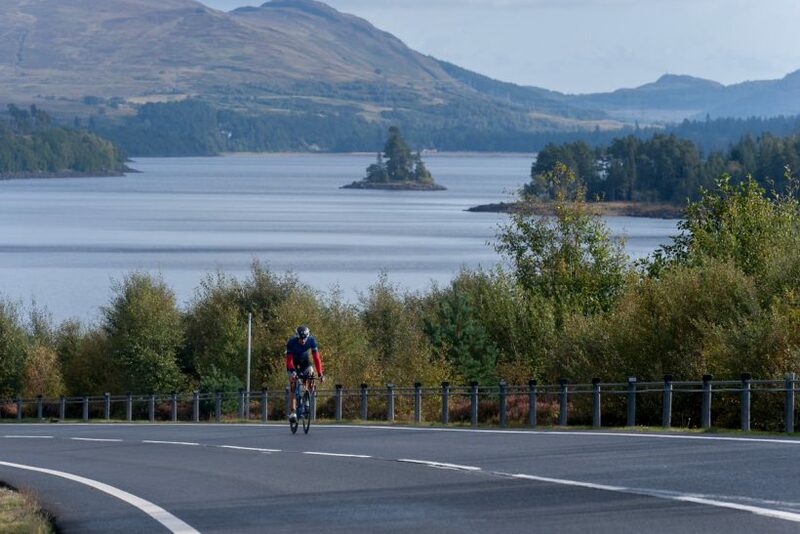 Warm Atlantic waters are followed by a classic Highland rural road bike section. But of course the jewel in this most epic of crowns is the run course, taking in as it does the country’s highest peak, Ben Nevis. 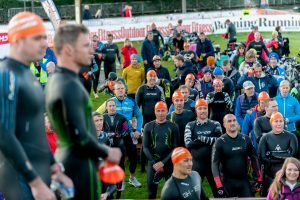 The only triathlon to do so in the UK, at this race the location, course, atmosphere and that famous sting in the tail combine perfectly to make the Braveheart triathlon the must do event of 2018. 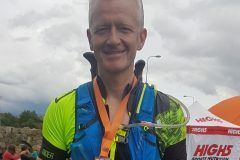 Involving the standard half ironman distances of a 1900 metre swim, 90-kilometre bike and a half marathon run, there’s nothing else “standard” about this event. The swim takes place in the shallow sea waters of Loch Linne, with the water temperature consistently reaching 14 degrees each time the event has been held. Not tropical but certainly easily bearable and the perfect wake up call. With the sea floor always visible, it’s also a course that suits those new to this whole lark. Onto the bike and quickly out of the town, it’s a quiet and gently rising out and back course. With good surfaces throughout, you puncture your way through the mountains and it’s not difficult to draw inspiration from your surroundings. On the return leg it is all too tempting to glance to your left and marvel at the run course. Marvelling can quickly lead to intimidation however so save your energy for what awaits – a glorious run up and down the mighty Ben Nevis. You can often find yourself on your own in Scotland’s mountains, but not here. Ben Nevis is as popular as ever, whatever the weather, and the throngs of walkers give you all the encouragement you need. Their cheers and adulation are most welcome yet there’s far more powerful motivation to be found here. It doesn’t take long to notice that for many others on the mountain, their challenge (whatever it may be) is every bit as tough as yours. Harness the collective will to press on and keep going forward. The well-built tourist path steadily rises with little respite. Few will run much of it and this is all about he or she who now slows down the least. Onwards, upwards and relish what you are doing as the admiring audience spurs you on. Once at the summit, take a moment to pause and savour. Job done, well almost. The descent is a great opportunity to make up several places or lose them. Concentration might be hard to come by now, but don’t switch off. As you cross the line, the sense of achievement is massive and for good reason. You’ve just completed one of the ultimate bucket list triathlons anywhere in the world! Swim – yes it’s a sea swim in Scotland in mid September but all previous races have had very manageable water temperatures (14 degrees) so consider what you wear carefully. I’ve seen far too much not need extra neoprene in transition like boots and vests which do take extra time to take off. Bike – check the conditions – the prevailing wind is from the west – so don’t get too carried away as you head out. The course does rise gently to the far end though and then descends back to transition, so awareness of gradient and wind is helpful. If in doubt, TT bike here for sure. At the very least get some tri bars. It’s very much a head down course. Run – unlike almost all other triathlons, the run here for most will take the longest time, so be ready for that. Nutrition is key and make sure you have a carrying pack that fits properly. Do whatever you need to keep going forward – break it up into chunks, target walkers, use poles.